„A classifier is a namespace and a type, and it can be generalized“ [UML spec]. Many different classes of the UML metamodel are subclasses of „Classifier“. It is important to know what a classifier is and thus to get a feeling of why some Metaclass is a „Classifier“. While „Package“ itself is a Namespace, it is not a Type, and thus is not a Classifier. Association was a surprise for me, because it feels like it shouldn’t be a Classifier. But thinking about it, an association can be generalized, and there is the concept of the „association class“. An association class „will be both an association, connecting a set of classifiers and a class, and as such have features and be included in other associations“ [UML Superstructure]. So all in all, the three criteria given (be a namespace, be a type, be generalizable) combined with some gut feeling allow us to guess what is a classifier and what is not. All sciences are based on the concept of classification, for example taxonomy in biology. Object are assigned to different classes, which in turn often form a hierarchy (although there are classifications that are not based on hierarchies). 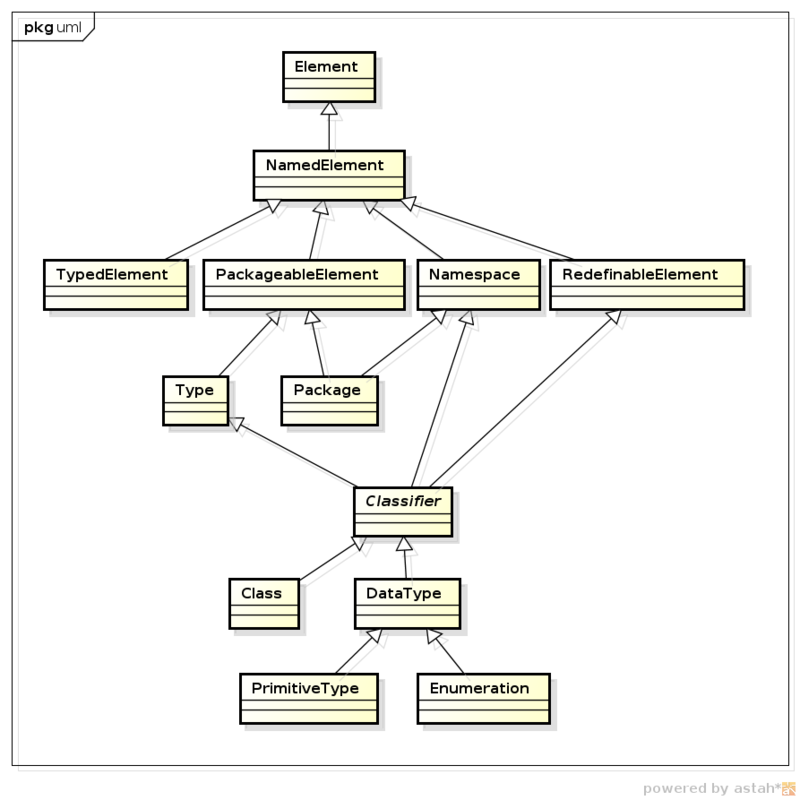 UML is based on a hierarchic classification. Or, to put it in the words of the spec: „A classifier is a classification of instances, it describes a set of instances that have features in common“. Dieser Beitrag wurde unter Metamodelle, modellierung, mof, OCUP, omg, uml abgelegt am 22. September 2014 von modellierung.net.